From very humble beginnings, Edward Saidi Tingatinga became world famous. Unfortunately bullets from a police gun mercilessly cut his life short. However, the art of painting he developed makes him live among lovers of art forever. In early 1968 he started painting by using brush and oil colours. 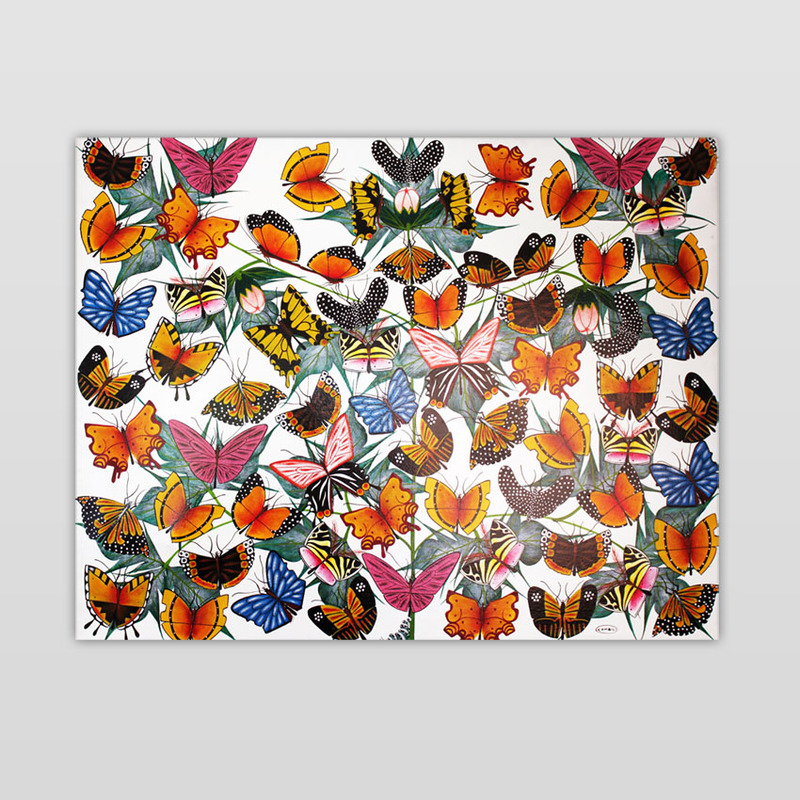 He painted animals and other scenes and motifs on square hard boards, usually 60cm x 60cm in size. In 1972 he secured a job at the Muhimbili Medical Centre in Dar es Salaam. Although, he continued to paint and sell his paintings. Things eventually started to work in Tingatinga’s favour. One day a tourist, who had bought one of his ‘Tinga Tinga Art’ paintings, introduced him to the then National Arts Company. 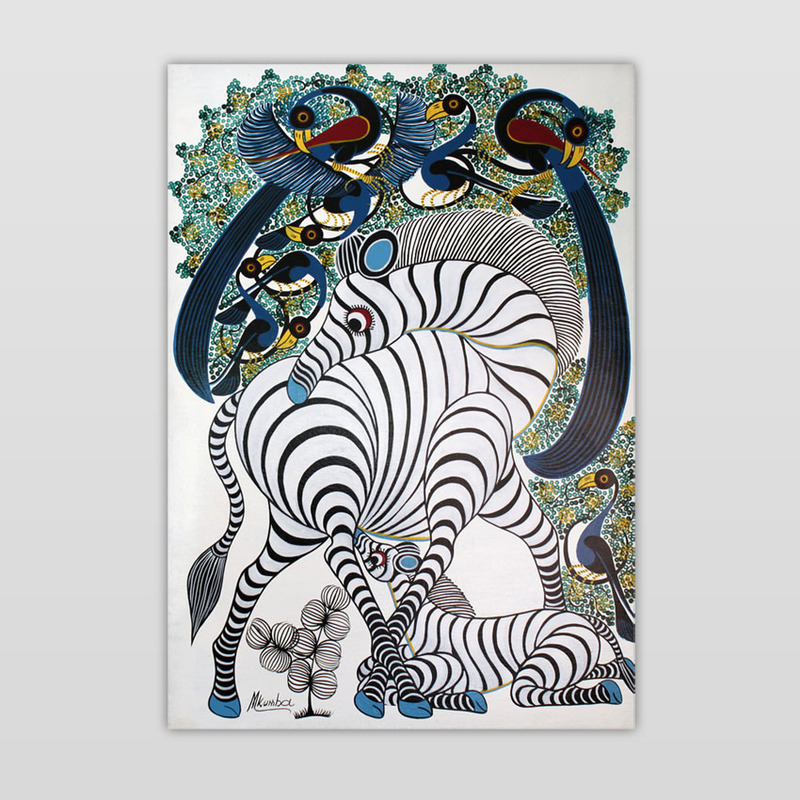 The company became very interested in Tingatinga’s paintings and it was agreed that Tingatinga should supply them with his work. This enabled him to become financially secure and meant he could live entirely on painting Tinga Tinga art. Tingatinga also took several of his young relatives on as apprentices. At first, they were just helping him with his work however later he began encouraging them to do their own paintings. One Saturday night, in 1972, Tingatinga met his untimely and tragic end. There were three people in a Volkswagen Beetle speeding away from police car in Dar es Salaam. The police had mistaken it for a getaway car used by robbers and Tingatinga was shot. He died on his way top hospital.He died aged forty leaving behind his wife and two children. His son Daudi is presently an active member of the Tingatinga community. Although Edwards Saidi Tingatinga is dead, his memory is still fresh and alive among us all. His art will make him live forever. 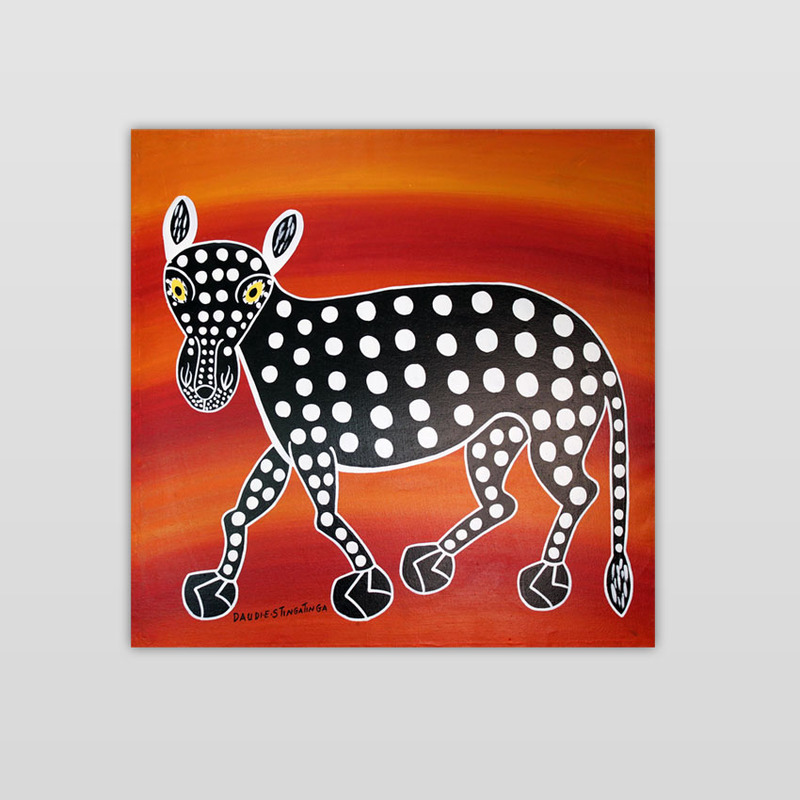 Each Tingatinga picture has a story. 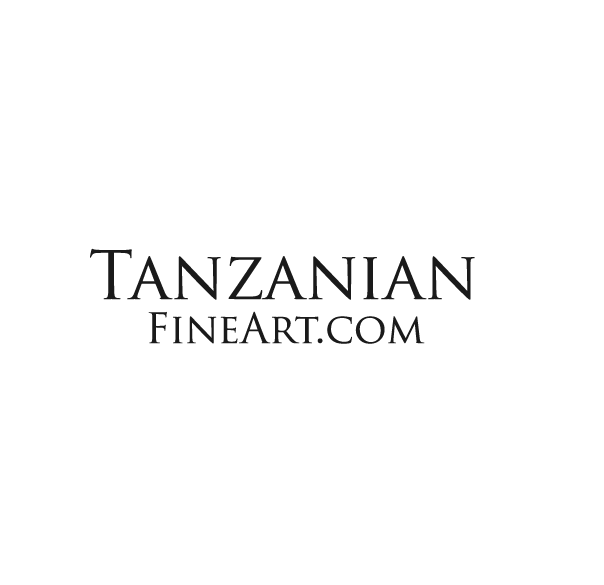 The stories in the pictures illustrate the natural beauty of the Tanzanian environment and the day to day activities of the people of the rural and urban areas. Thus, through Tingatinga paintings, many people are learning about the importance of preserving the environment and Tanzanian Culture. 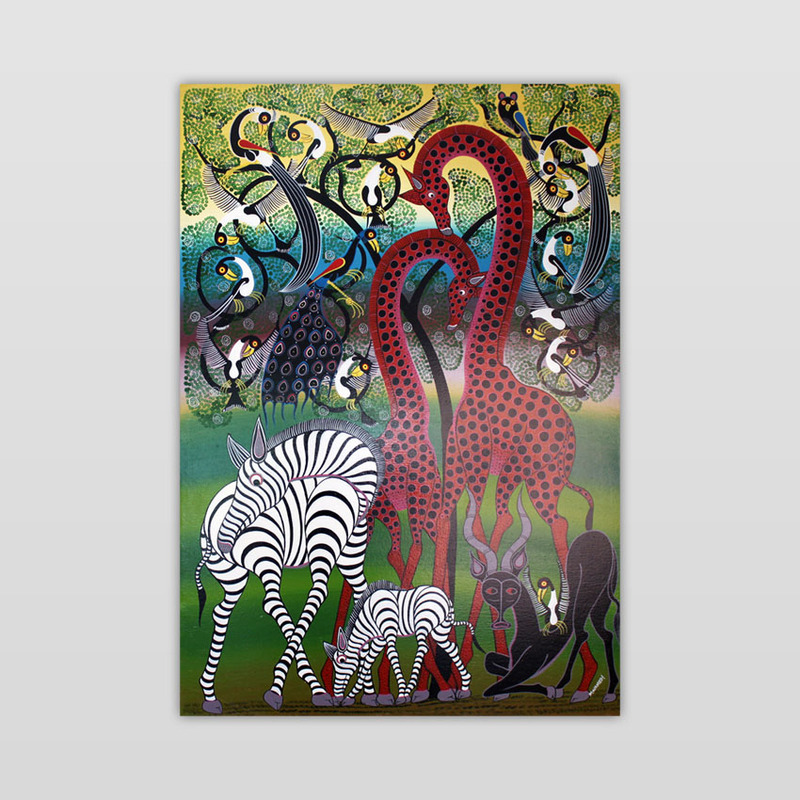 Edward Tingatinga established the Tingatinga style of art and handed it over to other Tanzanians who are now producing new paintings inspired by his work.